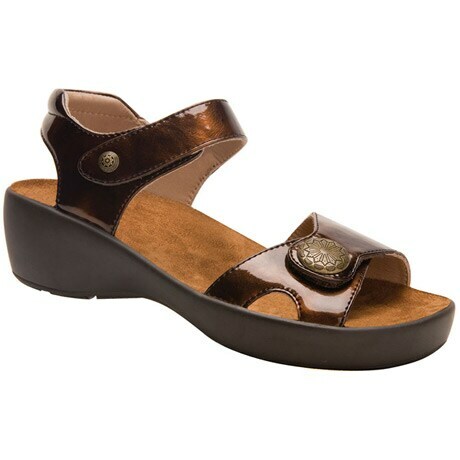 These fashionable sandals embody all of the features that have made Drew® shoes popular over the years. Double depth, full leather linings, durable lightweight outsoles, steel shanks for support and Velcro® brand closures for customized fit. 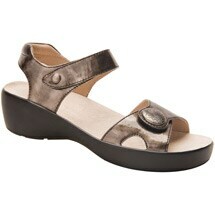 But with a dash of panache, these updated, modern sandals will wow you with their new comfort features. Thick, removable ULTRON® polyurethane footbed provides increased arch and metatarsal support, yet may still be removed to accommodate orthotics. No rush delivery Allow 1-2 weeks for delivery .